How to view test result in UFT? I have just finished a test run. 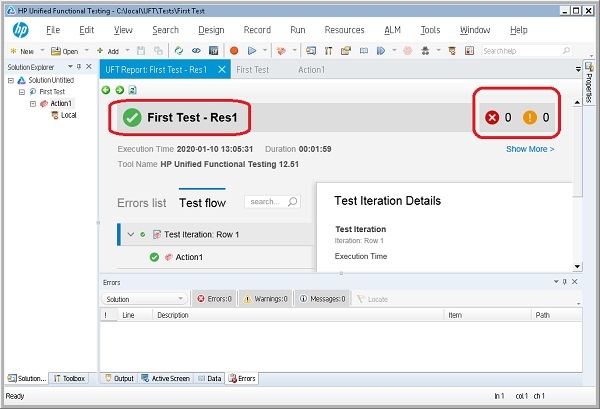 You can follow this tutorial to view test result in UFT. 1. Open your test with "File > Open" menu. 2. Click the "Run" icon or the "Run > Run" menu to run the test.